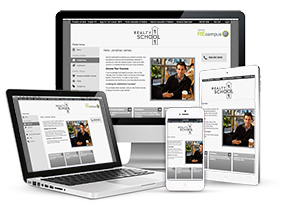 COURSE DESCRIPTION: As a real estate professional, you are at risk every day. Your simple habits, fixed routines, and trusting attitude could make you an easy mark for people with bad intentions. This presentation will illuminate your world and heighten your awareness. You’ll learn where real estate professionals’ biggest vulnerabilities exist and how to thwart them. Trusting your own intuition is a good start, but attending this seminar is crucial to gaining new skills and practical tools to safeguard yourself and your clients from impending dangers.Carol Martinson shares her vast experience, knowledge, and practical applications. She will show you simple and essential strategies to create and sustain a safer environment for you and your clients. COURSE DESCRIPTION: This course offers a great introduction for buyer agents. In this course you will learn the legal and technical aspects of buyer representation, including such things as due diligence and fiduciary duties. You will explore the exposure you have when representing buyers and how a good risk management plan can help protect you and your clients. The online course includes interactive exercises and features unit exam questions. COURSE DESCRIPTION: Environmental Issues is a general CE course intended to educate licensees on common hazards in the residential environment. This course uses clear language and real-world examples to explain the potential environmental hazards that agents need to know. Each unit includes evaluating properties, due diligence, and avoiding legal liability. COURSE DESCRIPTION: This online course includes the topics pertinent to fair housing in today’s real estate world. Students will understand fair housing laws by studying the Fair Housing Act, 1988 Amendments Act and beyond, fair housing in property management, fair housing in advertising, fair housing enforcement, and cultural diversity. COURSE DESCRIPTION: Explore different types of homebuyers, the channels they are using to search, and how you can tailor your marketing to target these channels. 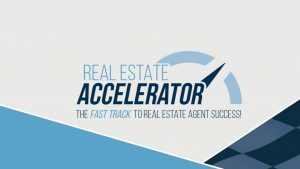 Join Dan Gerlock, co-founder and CEO of Realty Connection, as he presents Five Ways to Use Cutting Edge Trends to Build Your Brand and Increase Your Sales. Dan will also help you to uncover the most highly sought after qualities in an agent, as well as opportunities agents should consider when looking for a sponsoring broker. Whether you’re a novice or seasoned agent, you will leave with new strategies that can be immediately implemented in your business. COURSE DESCRIPTION: With the number of homes going into foreclosure and short sales today reaching unprecedented highs, it is increasingly important for licensees to stay current on these topics so as to remain competitive and successful in the market. This continuing education title discusses four hot topics in today’s market: foreclosures, short sales, REOs, and auctions. Focusing on the legal ramifications of these topics, this title also reviews ways that agents can successfully market these properties. Each unit contains vocabulary words and learning objectives, as well as end-of-chapter quizzes to emphasize key concepts. COURSE DESCRIPTION: Join Jerry Anderson for this RealXperts webinar, Four Must Do Steps to Keep You and Your Clients Out of Trouble When a Mortgage is Involved. Jerry will review four critical steps to achieve a successful closing. From before an offer is written thru the closing, Jerry has important advice for dealing with lenders, personal property, multiple offers, and contingencies that may delay the closing. You’ll be sure to learn something new and have a chance to ask questions of an expert with years of experience. COURSE DESCRIPTION: Join Monica Reynolds for this free webinar and learn how she used her “secret weapon” to take her real estate business to the next level. From recruiting through training, she’ll share how you can enable a real estate assistant to multiply your success. COURSE DESCRIPTION: Learn how to evaluate renovation options to determine if a house will be a money maker or a money taker.This course takes you through the process of buying a distressed property, fixing it up, and selling it for profit.You’ll first look at ways to structure the acquisition, whether representing the buyer, the seller, or themselves. Next, you’ll determine how to analyze the property’s needs and costs. Comparing the costs and returns from renovating bedrooms, baths, kitchens, and more, will help investors put their money in the right place. Also learn how to put together pricing models, accurate construction timelines, and a profitable exit strategy. With a solid plan in place, buyers can lessen their risks and realize a greater profit by avoiding coal and discovering diamonds in the rough. COURSE DESCRIPTION: Join Chris Bird for this timely RealXperts webinar covering important issues that impact the business of real estate that were included in the recently-enacted Tax Cuts and Jobs Act of 2017. Specifically, Chris will review changes to the real estate tax deduction for a principal residence, the new limitations on the home mortgage interest deduction, and the total elimination of the interest deduction on home equity indebtedness. In addition, the new qualified business income deduction available in 2018 will provide MOST real estate professionals a 20% deduction against their real estate sales and rental income profits. Real estate professionals also need to be aware of the new restrictions on claiming entertainment expenses starting with the 2018 return. 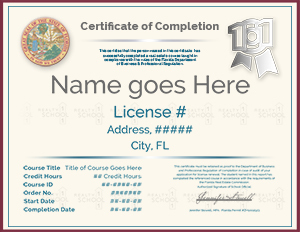 COURSE DESCRIPTION: The odds of experiencing identity theft are ever-increasing. Don’t let your clients or yourself become a victim. 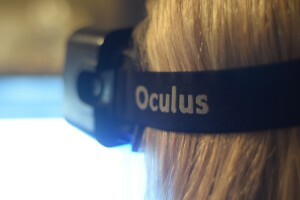 Customers entrust their real estate agents with a wide variety of personal information. If it falls into the wrong person’s hands, the damage to the customer’s life and the agent’s reputation could be extreme. In this course you will learn how to respond if your personal information or your clients’ information is compromised. You’ll explore case studies and actual news stories to discover the methods thieves use to steal identities and what “red flags” you should watch for. You’ll also learn how to protect your business and to prepare for a potential data breach. From the world of the Internet to phone bills to confidential contracts, there’s never been more opportunity for identity thieves to strike. This course will provide the tools and information that can reduce your chances of becoming a victim. COURSE DESCRIPTION: This popular continuing education elective provides a comprehensive introduction to the potentially lucrative field of commercial real estate. In this course you will learn how to realize the investment opportunity for various categories of commercial property, including office, retail, industrial, and multi-unit residential. You will also explore the financial and tax elements involved in commercial real estate. This elective features learning objectives and key terms and case studies to reinforce key concepts. From identifying property types and investment opportunities to developing a practical marketing plan, this course brings commercial real estate into focus for you! COURSE DESCRIPTION: This user–friendly interactive course borrows from topics covered in Introduction to Commercial Real Estate Sales and Property Management and Managing Risk. Specific topics explored include the nature of commercial real estate, classifications of real property, lease types, market value, and rate of return analysis. COURSE DESCRIPTION: Join Tim Broms for this presentation highlighting three key areas your clients must understand before purchasing in a Common Interest Community. You’ll learn how to review association budgets to look for strange occurrences or red flag items. Tim also explains the importance of evaluating income statements and balance sheets to analyze dues, special assessments, and other key financials so that your clients can make educated comparisons of associations. COURSE DESCRIPTION: Join Tim Burrell for a RealXperts webinar, detailing six distinct steps to successfully move through challenging negotiations, complete with real life examples from personal experience. COURSE DESCRIPTION: This popular title provides an up-to-date introduction to property management with a practical focus on how to comply with regulations and avoid liability. The features include “Liability Alerts” that offer suggestions for avoiding liability from both owners and tenants, as well as case studies, key terms, learning objectives, review questions, and review questions with answer rationales. COURSE DESCRIPTION: In clear and simple language, this course demystifies tax laws and their impact on anyone owning or selling real estate. Students will receive a background on basic tax issues and learn to apply calculations and formulas to better assist clients on tax–related questions and issues. Updates include recent tax law changes, and a discussion of tax issues regarding cancellation of debt, foreclosure, and repossession. Real-life examples, interactive exercises, and reading comprehension quizzes drive home the essential lessons of this course. COURSE DESCRIPTION: In a time of financial restructuring and changing tax policy, this latest version of Real Estate Finance and Tax Issues offers an invaluable resource for real estate professionals practicing in several different fields. From the restructuring of government organizations like Fannie Mae, Freddie Mac, and the new Consumer Financial Protection Bureau, this course takes the pulse of the current financial environment and explains it with clear language and advanced educational concepts.Students will receive a thorough background on basic tax issues, calculations, and formulas, in order to gain the knowledge and practice necessary to better assist clients on tax-related questions and issues. This course provides the essentials on risk management that every sales professional must know to avoid legal problems and provides an action plan for minimizing liability. COURSE DESCRIPTION: Become an invaluable resource to your client and the industry by learning how to spot scammers at the first sniff of trouble. This course takes you, one crime at a time, on the journey of sleuthing the facts, recognizing who is liable, assessing the consequences, and revealing the resources that will help you avoid the dark side of the industry today. You’ll learn how scams hurt your reputation and the liability that comes with being associated with a real estate scam. From flopping to straw buyers to Internet fraud, it’s all explored here. COURSE DESCRIPTION: Sustainable Housing and Building Green: What Agents Should Know takes the mystery out of green and sustainable building concepts for commercial and residential real estate licensees. The text differentiates between government initiatives and nonprofit, private associations and explains how each impacts green building and maintenance practices. Licensees looking to serve the expanding market of consumers interested in high performance building practices will find practical information on products, designations, and certifications such as LEED and Green Globes. COURSE DESCRIPTION: Join Steve Strickholm for this RealXperts webinar, The Biggest Mistakes Coaches Make and How to Fix Them. If you manage agents, your primary job as a coach is to get them to do what the other 87% are not doing to achieve their income goals. Steve will review the top mistakes coaches make as they develop new agents and share how hundreds of managers use his system as a prescription for success. COURSE DESCRIPTION: In this course you will explore the impact of mold on the real estate industry. You will receive practical information on remediation, effects on residential insurance, liability issues, sampling and testing kits, health effects of mold, relevant court case law, relevant state and federal laws and regulations, and the differences between mold and other environmental red flags. COURSE DESCRIPTION: The exchange of certain types of property may defer the recognition of capital gains or losses due upon sale, and hence defer any capital gains taxes otherwise due. This CE course explores the history, evolution, rules, and forms of the strategy used to defer tax liability until a later date; it includes real‐life calculation examples. 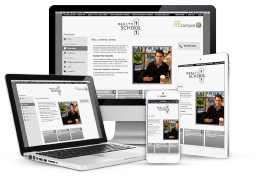 Loaded with real‐life examples and calculations, the course is perfect for both salespersons and brokers. Agents will learn the vocabulary and application of tax‐free exchanges so they are better able to answer client questions. COURSE DESCRIPTION: Add value to your clients and expand your client base by serving the large population of individuals with tarnished credit. You will learn strategies that you can immediately share with your clients to help them improve their credit scores and get approved for a mortgage. In this course you will explore credit scores, credit reports, and credit bureaus. You will gain strategies for preventing identity theft and improving credit. Upon completion of this course, you will: understand the Fair Credit Billing Act and the Fair Credit Reporting Act; help clients identify negative information on their credit reports; explain how credit scores are calculated and how lenders evaluate the ability to pay; determine if clients could benefit from credit repair; and explain how to improve clients’ credit scores. PLEASE NOTE THAT THE ABOVE REFERENCED PROFESSIONAL DEVELOPMENT COURSES ARE NOT AVAILABLE FOR LICENSE CREDIT AND ARE MEANT FOR PROFESSIONAL DEVELOPMENT PURPOSES ONLY. Currently offering sales related workshops for any real estate professional(s) which cover a variety of essential topics that every new agent will need to know or remind the seasoned professional about some of the basics in order to grow production revenue. The core of the curriculum is supported by Kaplan / Dearborn Real Estate Education and taught by a few of Realty School 101’s top instructors. Please complete the form below to inquire about the next live workshop or seminar delivered by Realty School 101 and one of our teammates will connect with you to discuss details. Grow your income through the best kept secrets in online lead generation. For the purposes of our coaching program, it is Realty School 101’s custom for a mentor of real estate practice to pass on the esoteric knowledge and skills to only a select group of talented students or individual. The “chosen one(s)” typically must apply on some level in order to determine fitness for the field of practice. With knowledge and skill comes great responsibility. Our coaching students are chosen based on abilities and dedication that reach behind the scope of other mentor-related programs. The student’s integrity, morals, virtue and skill levels are constantly challenged and tested. When Jennifer Stowell first began her training, her dedication and passion for learning every aspect of the real estate transaction and a thorough sacrifice of her practice to attend a variety of industry related conferences, specialized training, leadership academies, president circles, etc. motivated her to train extremely hard in order to provide the best for her students by demonstrating how to raise standards for the industry as a whole by performing real estate as both an art that incorporates quantitative analysis of the greater economy, the local market conditions and the individual client’s goals; This level of sophistication permits the student to reach goals on time. You are welcome to inquire about our coaching program, however it is important to know that it is not a guarantee of admission if you should submit your interest in writing, verbally, or otherwise. Throughout the coaching program, students are taught by the most respected industry leaders and receive meticulous explanations regarding theories and best practices. Therefore, it is both encouraged and with extreme care for a prospective student to inquire about the coaching program. Please prepare a purpose statement upon submission to have ready for a possible interview/screening within 2 weeks.